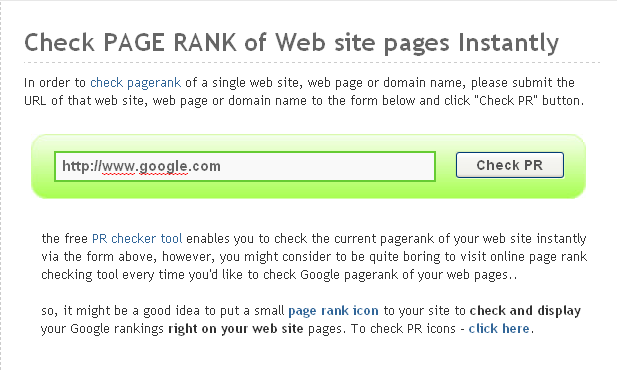 If you don't know about Google PageRankTM then refer to my previous post (PageRank) and come back to this post to read further. There are many free tools which provide page rank for website/blogs using google page rank algorithm. 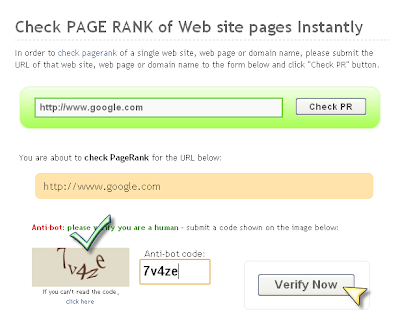 prchecker is a free tool to check rank of the page which is available on WWW. Click the link prchecker and do as shown in screenshot. It will open a new page which is similar to above screenshot except captcha. 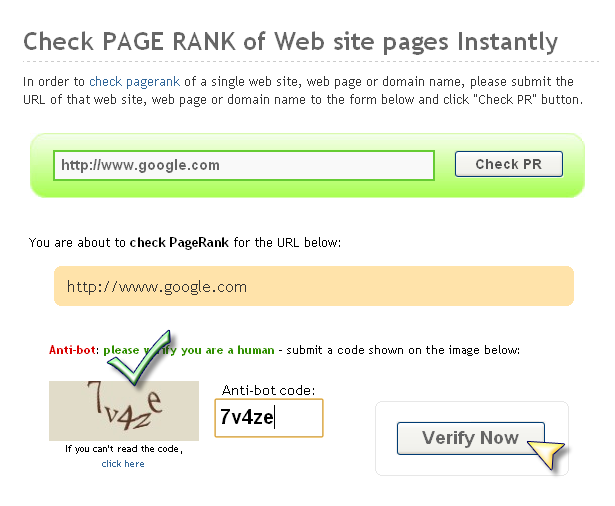 Just retype the captcha in provided field and hit the verify now button as shown in figure. Just copy the captcha with tick mark and paste it into the provided field and then hit verify now button. It gives current Google PageRank as shown in screenshot below. 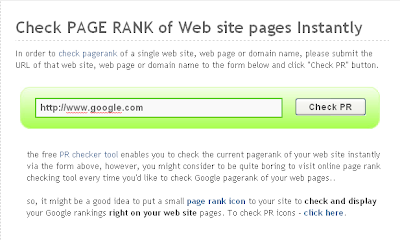 If you have any queries about "How to Check Google Page Rank or How to Find Google Page Rank", comment on this post. Don't get it- one site that gets 100 hits per day has a page rank of 2 whilst another that gets 5 or 6 (all from me) also gets 2. Ranked in terms of what? Hi keir, page rank doesn't depend only on hits per day. It takes number of links to your page into consideration while calculating the page rank.